Where some directors reach a creative peak from which further innovation becomes impossible, Alfred Hitchcock was constantly developing as a filmmaker, pushing the limits of what he could achieve on screen. But while this has given us some of the most superbly crafted films ever made, it has the downside of making his early work rather uneven. The Man Who Knew Too Much, like Murder! before it, finds the master still finding himself, and for all its qualities it cannot be considered a classic. There is some natural interest in The Man Who Knew Too Much as the only film which Hitchcock ever remade. Our first thought would be that 'Hitch' was somehow dissatisfied with the results the first time around; he was, after all, working with very little money at the height of the studio system where producers held sway. But such levels of dissatisfaction with his other movies in this period never prompted him to remake any of them. For years he would express regret for the bomb going off in Sabotage, but he never contemplated building a new one to have another go. Instead, the reason for the remake lies in Hitchcock's career-long emphasis on technique over content. The remake starring Jimmy Stewart and Doris Day differs greatly from the original, not because Hitch didn't like the original, but because he saw great potential in telling the same story with more money in a slightly different way. Just as the Indiana Jones series re-imagined the classic serials of the 1930s as they would have been had they actually had budgets, so the remake is Hitchcock paying tribute to the bits of the original that work and updating those that don't. In terms of its story, The Man Who Knew Too Much is a decent thriller about ordinary people being caught up in espionage. 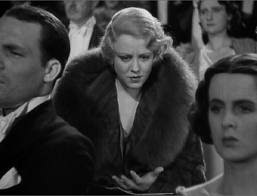 It is perhaps the first of Hitchcock's films to have the 'ordinary people' trope - a recurring theme of seemly unremarkable characters getting involved in matters beyond their prior knowledge or control. The opening section at the ski resort is shot in such a pleasant and charming manner that it doesn't feel like a contrived way of putting our protagonists in danger. There are a couple of memorable scenes in the 'detective' section of the film, with the characters snooping around for clues as to when the assassins are planning to strike or where they have hidden the girl. 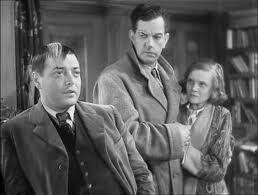 The first comes in the backstreet dentist's, where Leslie Banks confronts a dentist who works for the mob, anaesthetises him and then switches clothes so he can listen in on Peter Lorre's conversations. The other comes shortly afterwards in the church, where Banks and his companion pose as sun worshippers in a bid to find out what is going on. Both of these examples are like warm-ups for The 39 Steps, and the two films also share a common theme of loyalty to one's country being in opposition with personal loyalties and the need to save one's own skin. When Banks' daughter is kidnapped, he is informed that if he says anything to the authorities he will never see her again. He and his wife are so distraught at the prospect of her being killed that they refuse to say anything to the man from the Foreign Office. When he retorts that "not caring about unknown men" effectively led to WWI, they simply ask him to leave. From a technical perspective, The Man Who Knew Too Much is a pretty solid effort. It doesn't have the stagey quality that Murder! did for much of its running time, and the production values are a lot higher. The wide shots are especially accomplished, particularly the clay-pigeon shooting at the beginning and the tense sequence in the Royal Albert Hall when the assassination is due to take place. The attempted assassination at the opera during The Godfather Part III closely resembles this scene, although in that case the assassin fails to make an attempt, rather than making an attempt that fails. In other areas, however, the film is not so technically sound. 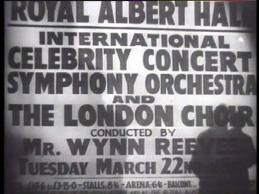 Whether due to poor technology at the time or the age of the print, the sound quality is quite bad, and this becomes particularly noticeable in the scenes at the Royal Albert Hall. 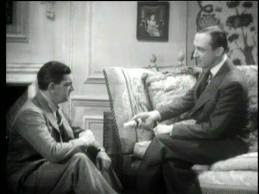 Some of Hitch's editing choices are quite unusual, with characters' conversations being cut off before they seemed to have been properly resolved. And the cinematography is nothing remarkable: Curt Courrant would later shoot Jean Renoir's La Bete Humaine, but here he seems to be phoning it in with fairly standard contrasts and compositions. The film fares much better in its performances. 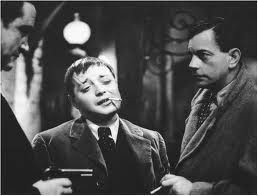 At the time of filming Peter Lorre could barely speak English: he learned all his lines phonetically, picking up bits and pieces from the crew between takes. Despite the language barrier his characterisation is great, creating a villain who has a childlike, almost babyish quality while also being ruthless, intolerant and deaf to any form of mercy. 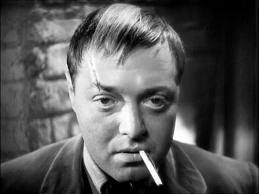 Drawing on his earlier performance in Fritz Lang's M, he creates a villainous archetype which can be seen in everything from Richard Attenborough's Pinkie Brown in Brighton Rock to Ron Lacey's sadistic Gestapo in Raiders of the Lost Ark. The performances around Lorre are also pretty solid. Nova Pilbeam was only 15 when filming began but she does very well with so little screen time. Her career crossed paths with Hitchcock twice more, as she was considered first for Margaret Lockwood's role in The Lady Vanishes and later for Joan Fontaine's part in Rebecca. Leslie Banks and Edna Best make a convincing couple, balancing fear and trepidation with some level of resourcefulness, whether it's spying or using a gun. 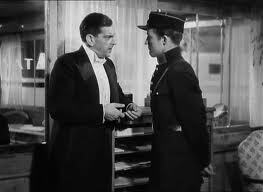 And George Curzon makes the best he can of the sidekick Gibson, with his role being the bumbling Watson to Banks' Sherlock Holmes. The big problem of The Man Who Knew Too Much lies, ironically enough, in its suspense. Because it reveals its hand so early on, there is far less in the way of intrigue or tension than there might have been or could have been from such a story. The film is one of Hitchcock's shortest features at only 75 minutes long, and if it were being made today its plot would barely stretch to an hour-long episode of Poirot. The source of this problem is in the lack of another Hitchcockian trope, the McGuffin. Once it is clear that Abbott is plotting an assassination, there is nothing for the action to hide behind: it becomes more or less a case of watching all the pieces fit together and letting the set-pieces do the rest. There's still the pleasure of seeing the story being resolved without any plot holes or ridiculous twists, but it doesn't have the climactic thrill we have come to expect from Hitchcock. In The 39 Steps, the final confrontation between Richard Hannay and the spies was built up successfully through increasingly elaborate set-pieces, so that by the time we reached the final scene it carried some form of emotional significance rather than just bringing the story to a close. 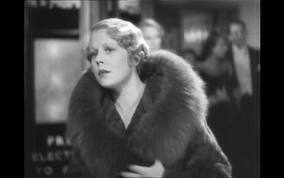 But on this occasion, the big climax - a shootout between assassins and police - feels tacked-on and somewhat shapeless. Rather than building bit by bit, it goes on for a certain amount of time until Hitch sees fit for some of the bullets to hit their targets, and Lorre dies in a way which seems underwhelming for such a memorable character. The Man Who Knew Too Much is a solid, jobbing effort from Hitchcock on a par with his earlier work in Murder!. It's nothing to write home about in terms of its story or execution, and like much of Hitch's earlier films it has not stood the test of time all that well. But there is just about enough in the quality of the performances and aspects of its technical execution to pass muster for a decent, if forgettable, evening's entertainment.